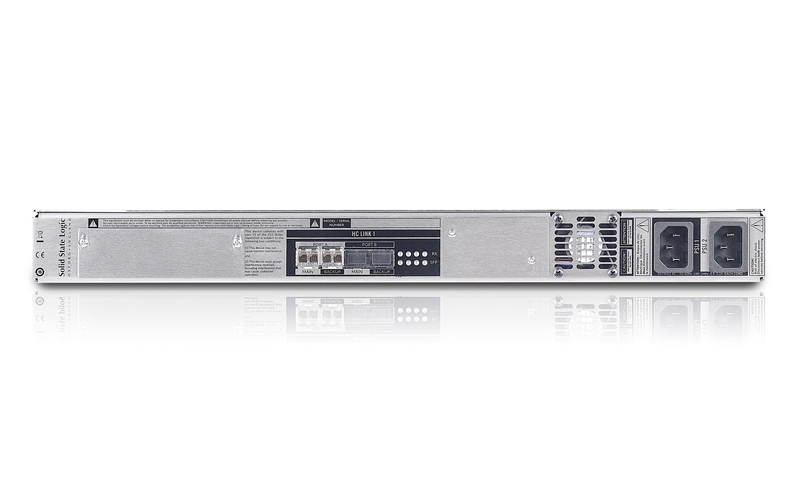 Built for a fully networked world. A fully scalable set of remote I/O units are available for SSL Live consoles including analogue, AES/EBU digital, MADI and Dante devices. Interconnection between console and stage is via MADI or Dante. Remote gain control data can be carried by either MADI or Dante. For simpler systems standard coaxial MADI can be used to connect the console directly to analogue and/or digital AES/ EBU Stageboxes. 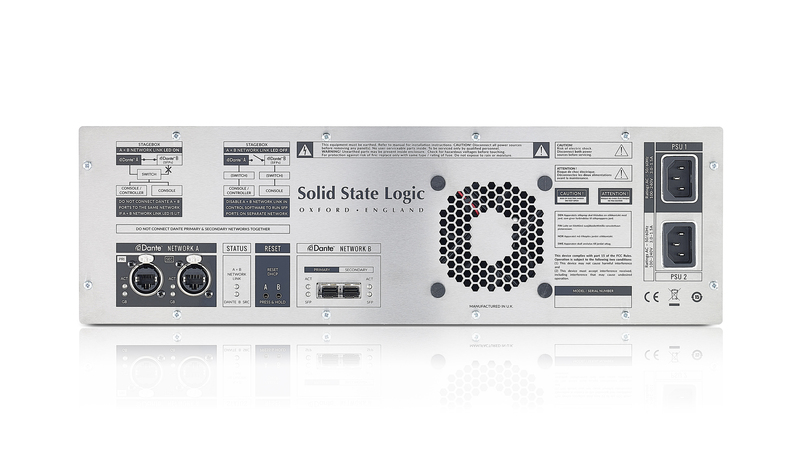 SSL’s Network I/O range of Dante devices provide analogue, AES digital or even embedded SDI bridging. Dante networks offer an extremely flexible and powerful solution to audio routing and asset sharing in a wide range of on stage and installed systems. 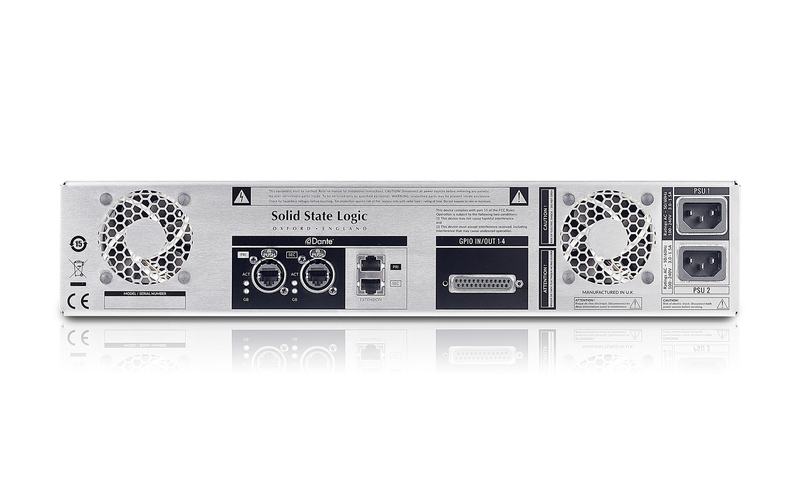 SSL Network I/O Stageboxes place the exemplary audio performance of SSL’s renowned SuperAnalogueTM mic pre technology at the heart of of your system. When two or more SSL Live consoles are connected to the same I/O, arbitrated gain sharing allows specification of which console has master gain control. All I/O stageboxes are fitted with dual redundant power supplies. 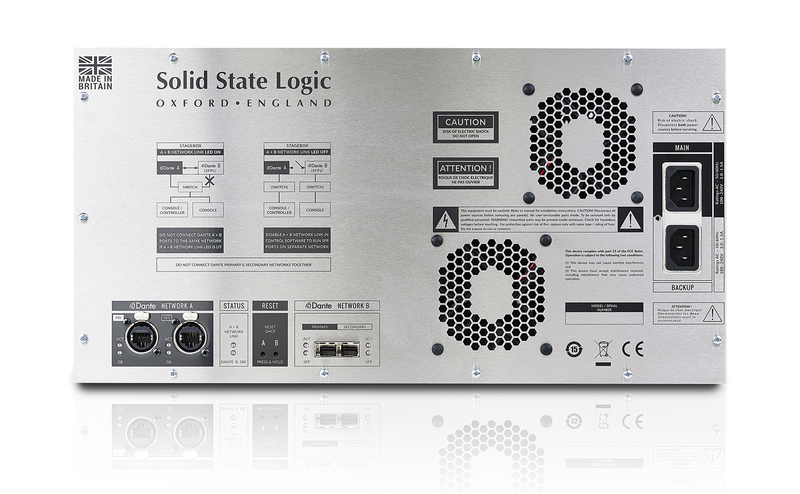 SSL’s Network I/O range is also fully compatible with our System T broadcast audio technology, making truly cross-functional system design possible. Broadcast oriented Network I/O units provide SDI Embed-De-Embed options if required. “split”, for connection to a second Dante-equipped console or appropriately equipped device on a different network. It has individual signal present, clip and phantom power LED’s as well as global indication of PSU, Network A and B and Hardware status. SB32.24 can operate at 96kHz or 48kHz sample rates. 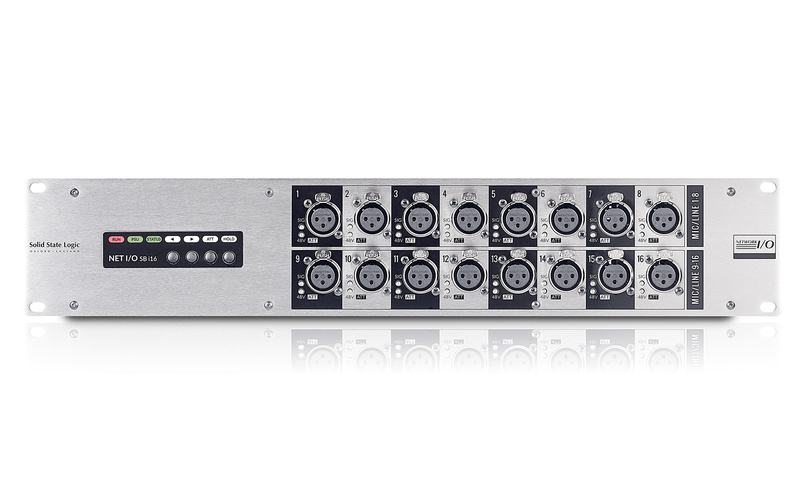 SB 16.12 is a 3U ruggedised enclosure featuring dual redundant power supplies, 16 mic/line inputs, 8 analogue line outputs and 4 digital inputs and outputs on 2 AES3 input/output pairs. It has a pair of redundant RJ45 Dante network connections in addition to a user configurable SFP port that can be fitted with RJ45 or optical connectors. These can be used for network extension or to provide network separation for the gain-compensated Dante “split”, for connection to a second Dante-equipped console or appropriately equipped device on a different network. It has individual signal present, clip and phantom power LED’s as well as global indication of PSU, Network A and B and Hardware status. SB 16.12 can operate at 96kHz or 48kHz sample rates. These 2RU units offer slightly different configurations but share identical features. The SB 8.8 offers eight mic/line inputs and eight line level outputs. SB i16 offers sixteen mic/ line inputs. Both models feature a pair of redundant RJ45 Dante network connections, a pair of network extension connections, GPIO connectivity and redundant PSU’s. They have individual signal present, phantom power and local attention LEDs to provide intuitive front panel feedback. They feature inbuilt limiters and SSL’s innovative AutoPad system that automatically applies a Pad according to gain setting. The AutoPad is applied if the gain is set at a low value that would require a pad to achieve making the entire possible mic gain range seamlessly available at all times. An Audition feature allows individual channels to be monitored over the network (using an SSL console or App) without the signal actually being routed to a network destination. 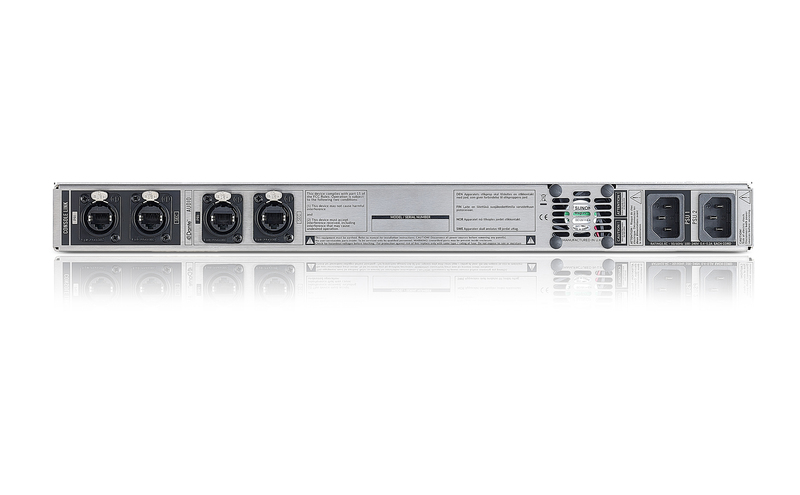 For fixed installations where ruggedised connections are not required, the BL II Bridge also offers 256 channels of 96 kHz audio between a Live console and a Dante network by utilising SSL’s proprietary high bandwidth Blacklight II protocol.